As a tenor, he has sung with the Atlanta Symphony Orchestra Chorus and the Atlanta Sacred Chorale. His solo career began with the Carroll Symphony Orchestra and their performance of Beethoven’s Choral Fantasy. Most recently he was tenor soloist for Berstein’s Chichester Psalms with the LSU A Cappella Choir on a Doctoral Recital. 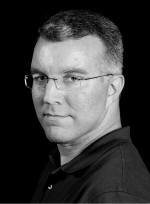 Mr. Bowers is currently the Director of Music at Haygood Memorial United Methodist Church in Atlanta, GA. He currently resides in Woodstock with his wife Leslie and their daughter Tucker. 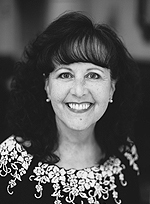 Dr. Martha Shaw is the Director of Choirs at Reinhardt University in Waleska, GA where she directs the select Chamber Singers, the 100-voice Concert Choir, and also serves as Professor of Music. She teaches both graduate and undergraduate courses in choral literature, choral methods, and conducting. A frequently sought-after choral clinician, she is the founding director of the world-renowned Spivey Hall Children’s Choir & Tour Choir in Atlanta. She previously held the Lester Harbin Chair of Conducting at Shorter University in Rome, Georgia, where she was Professor of Music, Director of Choral Activities, and Conductor of the Shorter College Chorale. A specialist in vocal pedagogy for all ages, she is active as a clinician and as a guest conductor throughout the United States. Her fifteen years of experience as a public school music specialist contribute significantly to her work at Shorter, where she teaches conducting, ear-training, sight-singing, and music methods classes as well as conducts the Shorter Chorale. She is the founding director of the Spivey Hall Children’s Choir. Under her direction, the choir has been featured in performances for state, regional, and national conventions of the American Choral Directors Association, the national conferences of the Orff-Schulwerk Association, and Chorus America, and on NPR’s Performance Today and From the Top. Shaw received a bachelor of music education degree from Shorter College and a master of science degree in Music Education from the University of Tennessee, where she studied with Donald Neuen. Prior to joining the faculty at Shorter in 1999, Shaw studied with Larry Wyatt at the University of South Carolina, where she was a member of the faculty and earned a doctor of musical arts degree in conducting.